We ALL have mental health, just like physical health. 1 in 5 kids has a diagnosable mental health condition. All children have mental health – just like physical health. Important at every stage of life, mental health affects the way a person thinks, feels, relates to others, and behaves. 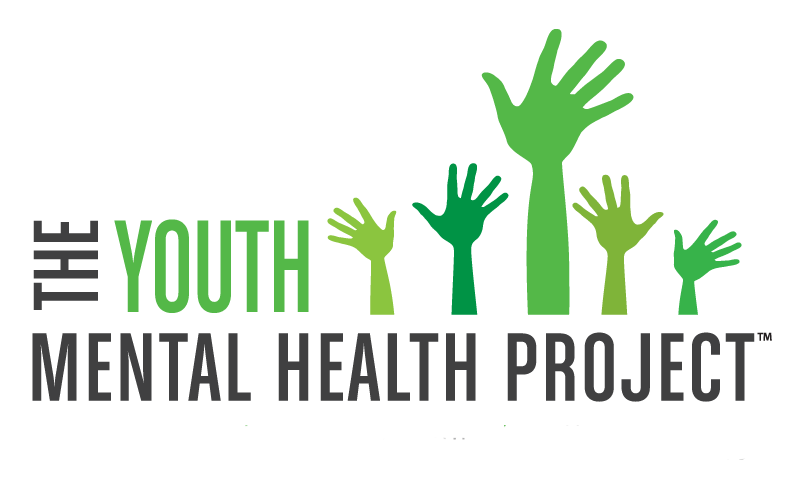 By inspiring open conversations about mental health, The Youth Mental Health Project creates opportunities for communities to promote education, awareness and understanding of how to care for and support the whole child. Mental health lies on a continuum and includes our emotional, psychological and social well being. 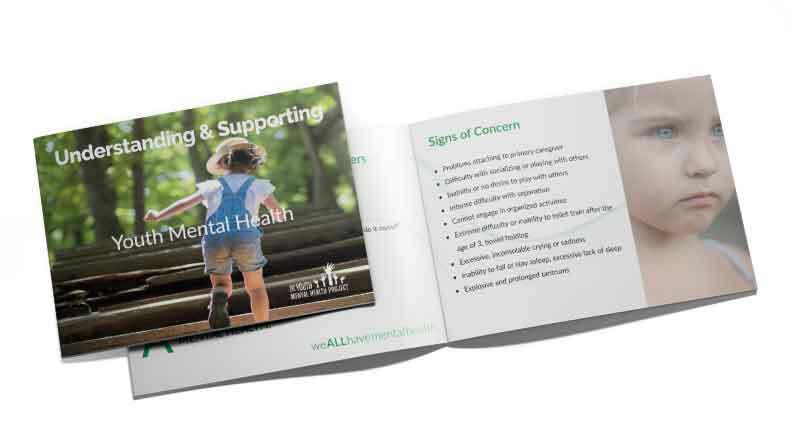 1 in 5 children have a diagnosable mental health condition, yet only 20% of those children receive the help they need. Mental health plays a critical role in shaping a child’s social, emotional and cognitive development. 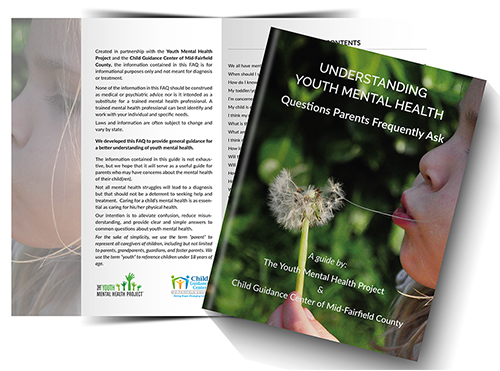 Download our Guide Understanding Youth Mental Health – Questions Parents Frequently Ask and get the answers to your concerns, therapy models, and questions that develop as you explore getting your child help. 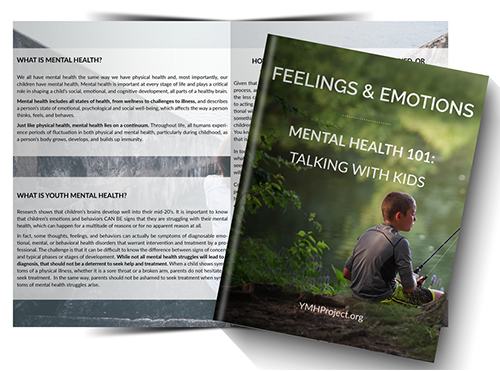 Download our Guide Feelings & Emotions: Mental Health 101 – Talking with Kids and find out the difference between worry and anxiety, sadness and depression. 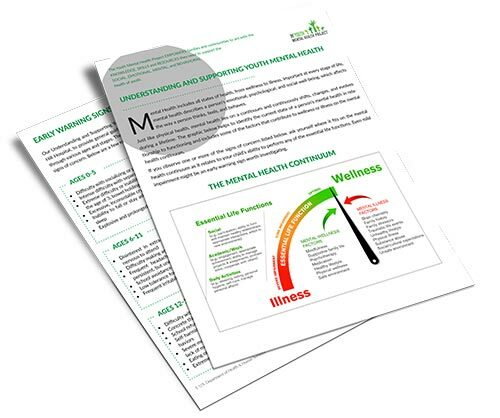 Ages and Stages – Examples of Signs of Concern and Healthy Developmental Markers at various ages, including an explanation of how to tell the difference. Download our educational series of fact sheets on Addiction, ADHD, Anxiety, Depression, Mental Health Learning Disabilities, OCD and more. Share or use for an event. *National Alliance on Mental Illness.